This technique has to do with frogging quilting. Just sayin’. Some weeks you’re sewing like a rockstar goddess and everything is perfect, and true and right with the world. You are the mistress of all that you see! 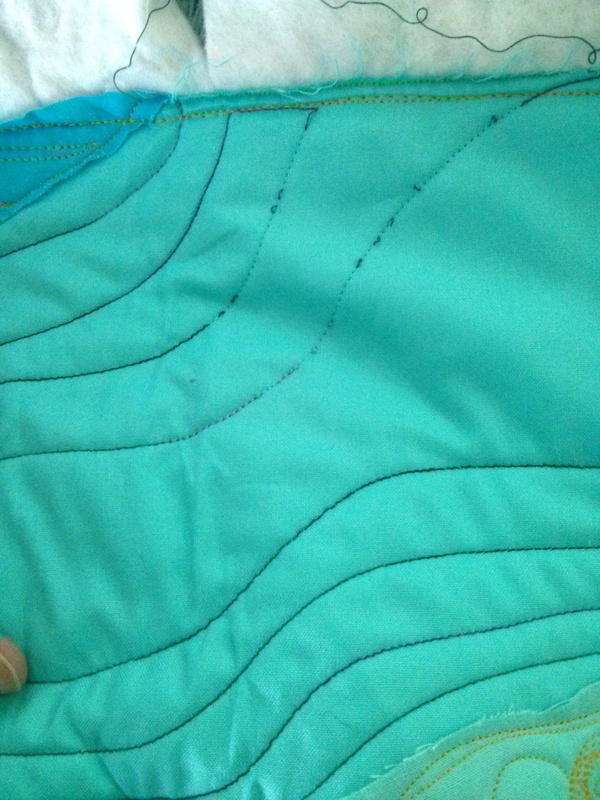 And then, the sewing gods step in and show you that, dude, you need a reality check. We al know frogging (extensive ripping out of seams or lines of quilting), and it can be tedious as all get out depending on the extensiveness of your frogging needs. We all have our different styles of getting the threads snipped. What I want to share with you, though, is how I get all those tiny little threads out of your quilt top when you decide you just don’t like that thing you thought would be awesome but turned out to be not-so-awesome. Um, how much do I seriously love Peppered Cottons? A whole lot. See all the little loops left? I only ripped a little on this practice top, but imagine how many there would be if I took out the whole thing. 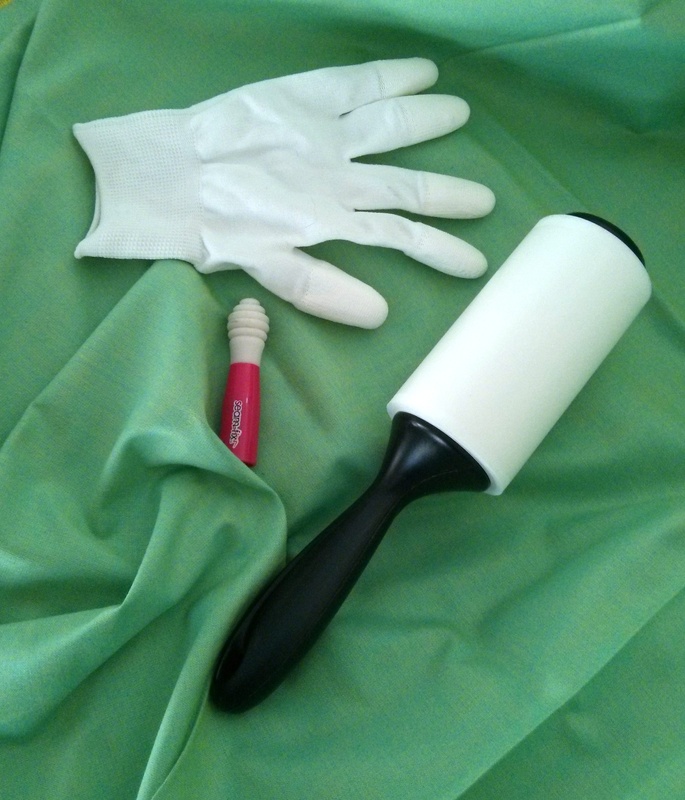 And here’s a down and dirty quicky video of how it looks when you use the gloves and rolly sticky thing. Obviously, this is going to be best for big ripping projects. If I had ripped all of these stitches out, all I would need to do is just rub my finger tips over the whole top and the threads would come right up. …Here’s hoping your need for this technique is limited. Happy quilting! Surely you jest! Thanks for the ideas!